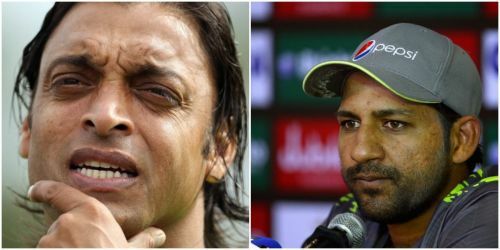 Former pacer Shoaib Akhtar has slammed Pakistan captain Sarfaraz Ahmed for making racist comments against South African all-rounder Andile Phehlukwayo during the second one-day international in Durban. Akhtar said that Sarfaraz's conduct was totally unacceptable. "What I have heard is not acceptable at all. Very Sad news for me. The comments I heard from the captain, certain racist comments, I strongly condemn them," Akhtar said. "He may have said it in heat of the moment. He should not have said it. He should publicly apologise for what he said to this guy," Akhtar added. "Abey kaale, teri ammi aaj kahaan baitheen hain? Kya parwa ke aaye hai aaj (Hey black guy, where's your mother sitting today? What have you got her to say for you today)?" Sarfraz was caught saying on the stump mic. Akhtar said a player should never speak on someone's colour in any context. Sarfaraz, though, did issue an apology on his Twitter account. "I wish to extend my sincere apologies to any person who may have taken offence from my expression of frustration which was unfortunately caught by the stump mic during yesterday's game against SA. "My words were not directed towards anyone in particular and I certainly had no intention of upsetting anyone. I did not even mean for my words to be heard, understood or communicated to the opposing team or the cricket fans." According to reports, Sarfraz made these comments against Phehlukwayo in the 37th over of South Africa's run chase on Tuesday. South Africa eventually won the match by five wickets.